The alternative names are "First sobornyaya" and "Unusovskaya". This mosque was built in 1766-1770. The mosque address: Russia, Kazan city, Nasiri Str., 17. The alternative names are "Second sobornyaya" and "Baiskaya". This mosque was built in 1768-1771. The mosque address: Russia, Kazan city, Nasiri Str., 27. The alternative names are "Starokamennaya", "Bolshaya Kamennaya" and "Ninth Sobornaya". This mosque was built in 1801-1802. The mosque address: Russia, Kazan city, M.Gafuri Str., 34. The alternative names are "Nizenkaya Buharskaya". This mosque was built in 1808. The mosque address: Russia, Kazan city, M.Gafuri Str., 67. This mosque was built in 1801-1805. The mosque address: Russia, Kazan city, Kzil Tatarstan Str., 20. The alternative name is "Forth sobornyaya". This mosque was built in 1815-1819. The mosque address: Russia, Kazan city, Narimanova Str., 98/19. The alternative names are "Sennaya" and "Seventh Sobornaya". This mosque was built in 1845-1849. The mosque address: Russia, Kazan city, Kirov Str., 74/15. The alternative names are "Ziganshi Mosque", "Usmanovskaya" and "Eighth Sobornaya". This mosque was built in 1867. The mosque address: Russia, Kazan city, Tukai Str., 14/19. The alternative name is "Fifth Sobornyaya". This mosque was built in 1798-1801. The mosque address: Russia, Kazan city, Tukai Str., 40. The alternative name is "Third Sobornyaya". This mosque was built in 1872. The mosque address: Russia, Kazan city, Ahtyamov Str., 7. This mosque was built in 1890. The mosque address: Russia, Kazan city, Fatkullina Str., 15. The alternative name is "Ubileinaya". This mosque was built in 1921-1926. 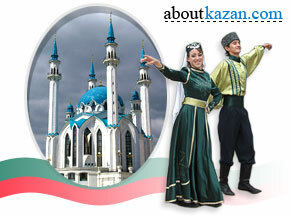 The mosque address: Russia, Kazan city, H.Taktash Str., 26. This mosque was built in 1988. The mosque address: Russia, Kazan city, 2nd Armavirskaya Str. This mosque was built in 1994. The mosque address: Russia, Kazan city, Okolnaya Str. This mosque was built in 1996-1997. The mosque address: Russia, Kazan city, Kurchatov Str. This mosque was built in 1996-1997. The mosque address: Russia, Kazan city, Fuchika Str., 52. This mosque was built in 1996-1998. The mosque address: Russia, Kazan city, Kremlin. This mosque was built in 1998-1999. The mosque address: Russia, Kazan city, Mirniy village. This mosque was built in 1991-1993. The mosque address: Russia, Kazan city, Musin Str. This mosque was built in 1999. The mosque address: Russia, Kazan city, Chistopolskaya Str. This mosque was built in 2000-2001. The mosque address: Russia, Kazan city, Mirniy village.